Fits All Citroen Cars (1995- 2017). Genuine Citroen & Peugeot Part. Made ByBitron / OMRON. Fits All Peugeot Cars (1995- 2017). Condition:Used and Good Working Order. Pictures taken from actual item. YOU WILL RECEIVE EXACT WHAT YOU SEE IN THE PICTURES. Other Part Numbers: 739223. Good Working Order. OE ref 655533. 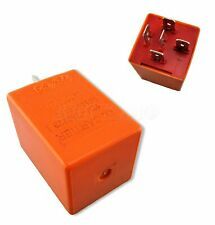 Genuine New 4 Pin 12v/25 Amp Green Relay. Radiator Fan Power Steering Blower Unit. AX BX Saxo ZX ZM Xantia Xsara C4 C4 Picasso C5 C5 (X7) C8 Synergie Berlingo Dispatch. Fits All Citroen Cars (1995- 2010 ). GenuineCitroen Part. Good Working Order. Condition:Used and Good Working Order. Peugeot Citroen Part No 6555.33. Green Relay. 12v/25 Amp. As Fitted To. CITROEN XANTIA MK1 FL 1.8 PETROL. Make & Model: CITROEN XANTIA LX 16V. Model Series:MK1 FL (X1). Fuel Type: PETROL. RELAY MODULE. CHECK YOUR PART NUMBER AGAINST OURS TO ENSURE THAT THIS IS THE CORRECT ONE FOR YOUR VEHICLE. Part number: 6547TX. Xantia, Xsara, Berlingo, XM, ZX. Manufacturer: Citroen (Genuine OE). Genuine Radiator Fan Relay. Quantity - 1 unit. 12V / 35A / 5 Pin. REMOVED FROM - CITROEN SAXO FORTE 3 DOOR HATCH. ENGINE - 1.1 8V PETROL TU1JP 60BHP. IT LISTS RANGES OF VEHICLES A PART MAY FIT, HOWEVER IT DOES NOT TAKE INTO ACCOUNT ENGINE CODES, TRANSMISSION, TRIM/FACELIFT MODELS ETC. Citroen Berlingo (2002 - 2008). Peugeot Partner (2002 - 2008). GenuineCitroen Part. Good Working Order. New Genuine Peugeot Citroen. Peugeot Citroen Part No. Green Radiator Fan Relay. 105 206 306 307 406 605 806 807 Partner Expert. C2 C5 C8 ZX Xsara Xantia Synergie Berlingo Dispatch. 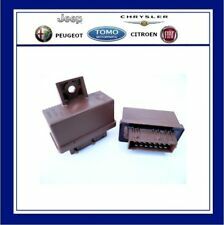 This is the 3 pin flasher unit relay to fit on various Citroen/Peugeots. Numbers on the relay are -. Desira Group. We are a main dealer for our franchised vehicles. BERLINGO VP. 405 SAUF RESTYL. 306 (RESTYLING). Citroen C4 Grand Picasso 2.0 diesel glow plug relay. Removed in good working condition from a 2008 UK car - RIGHT HAND DRIVE (RHD). The part is in very good condition as you can see in the pictures, what you see is exactly what you get. REMOVED FROM 58 REG PICASSO 1.6 HDI. YOU RECEIVE CORRECT PART FOR YOUR VEHICLE. PRE-USED ITEM IN GOOD WORKING ORDER. so you can make a claim. 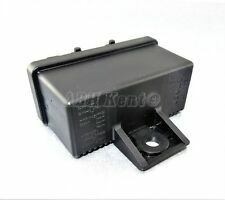 Genuine7 PinBlack Relay/ Module For Diesel (3 Relais / REVC). GenuineCitroen Part. Fits both LHD & RHD cars. Good Working Order. BERLINGO VP BERLINGO VP (M59) BERLINGO VU (M59) C15 C4 C4 (B7) C5 C5 II C8 DISPATCH COMBI DISPATCH I & II DISPATCH III DS4 RELAY RELAY III SAXO SYNERGIE XANTIA XANTIA II XM XM II XSARA XSARA II XSARA PICASSO Z X.
CITROEN C2. CITROEN C3. CITROEN C3 PICASSO. CITROEN C4. CITROEN C4 PICASSO. CITROEN C4 GRAND PICASSO. CITROEN XSARA. CITROEN XSARA PICASSO. Citroen C4 C5 C6 C8 Picasso Diesel 8 Pin Relay Glow Plugs - GENUINE. Fits All Citroen Cars (1995- 2010 ). Peugeot Citroen Part Number 454935. Genuine Peugeot / Citroen. Peugeot 106, 1007, 206, 207, 306, 307, 308, 406, 605, 607, 806, Partner II & III, Expert III. ABS / Fuel Injection / Semi Automatic Double Relay. Fits All Citroen Cars (1990- 2010 ). Genuine5 PinBlack Relay (Multi-Use). 12V 10/25A. Good Working Order. (Taken From: 2003 CITROEN C5 2.0HDI RHZ, SILVER EZRC, 5 SPEED, 5 DOOR). YOU WILL FIND MORE INFORMATION ABOVE. All parts are used, fully tested and are in fully working order, unless stated in the title. PART NO. 17325003001. CITROEN XSARA PICASSO OMRON RELAY. REMOVED FROM 58 REG PICASSO 1.6 HDI. Supplied Goods. so you can make a claim. Citroen double relay in good working condition. Citroen C5 2004. UK cars are right hand drive.again I take no responsibility for any muddle up with Left Hand Drive Cars. Peugeot Citroen Part no:655568. All photo's are of the actual item you will receive. PARTNER VU (M59). PARTNER VP (M59). EXPERT 1 & 2. 5008 (T87E). 406 (RESTYLING). 405 SAUF RESTYL. Fits All Citroen Cars (1995- 2010 ). Genuine Citroen Part. 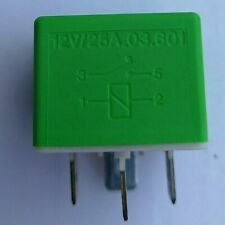 Genuine 4 Pin Light Green Relay. 4 Pin Light Green Relay. Good Working Order. Condition: Used and Good Working Order. (Taken From: 2008 CITROEN C4 VTS 2.0 HDI RHR, BLUE KPU, 5 SPEED, 3 DOOR, 96K). DISPATCH PARCELS. YOU WILL FIND MORE INFORMATION ABOVE. Fits All Citroen Cars (1995- 2010 ). Genuine4 PinBlue Relay (Multi-Use). GenuineCitroen Part. Fits both LHD & RHD cars. Good Working Order. Fits All Peugeot Cars (1995- 2010 ). Peugeot Citroen Part Number 454935. Citroen Zx, Xm, Saxo, Xsara, Xsara Picasso, Xantia, C2, C3, C3 Pluriel, C3 Picasso, C4, C15, Synergie, Berlingo II & III, Dispatch III. Genuine Peugeot / Citroen. ABS / Fuel Injection / Semi Automatic Double Relay. Removed from Citroen C8 from 2004 2.0 HDI Diesel. Glow Plug Relay. GenuineCitroen C2 C3 C4 C5 C6 C8 Picasso Xsara Diesel 8-Pin Relay Glow Plug. Fits All Citroen Cars (1995- 2010 ). Genuine Citroen Part. Genuine 8- PinBlack Relay For Diesel Cars Only /Glow Plugs Relay. 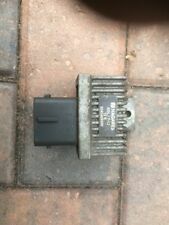 Citroen C1 relay, perfect working order. 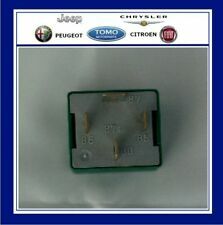 CITROEN C2 ( PRE-FACELIFT 2003-2008 ) RELAY. THIS RELAY IS FROM A YEAR 2004 CITROEN C2 LX (54. REG) 3 DOOR HATCHBACK 1.1 PETROL (1124cc Engine). 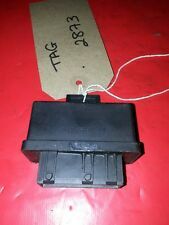 Citroen Berlingo 1.6 HDI Glow plug relay. Removed from a 2014 reg. 1.4 HDI 1398cc TURBO DIESEL. 2011 CITROEN C3 VTR . SINCE 2011. I'M TRYING TO GIVE AS MUCH INFORMATION AS I CAN. I have done my best to describe the item and provide clear pictures. Parts removed from 1994 Citroen C15 Van. Part number: 12V 35A 03531. We are Breaking a 2007 Citroen C4 Picasso Exclusive EGS Mk1 (Pre-Facelift). Option can be added at checkout. Removed from the car below but may fit other models/years. Right / Left Hand Drive.